Size: 4.5 inches long. A handcrafted miniature Comforting Clay Cross charm dangles from this 4.5" elegant silver bookmark adorned with bead accents. 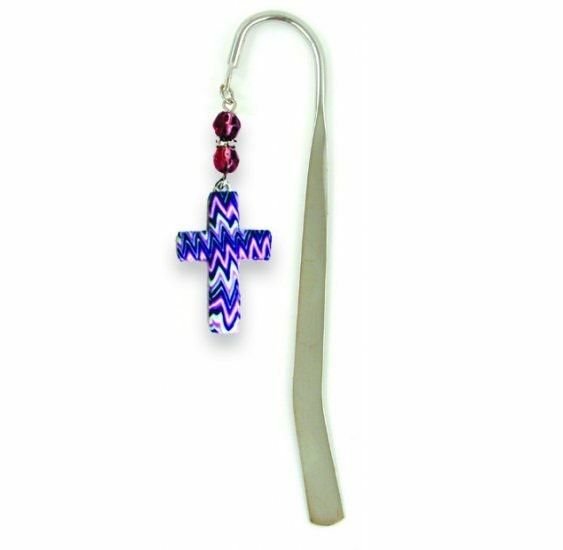 This beautiful trinket is perfect for bookmarking your Bible, or even just a good read.